This planter is good for indoor/outdoor use, fibreglass, long lasting, large, plenty of space, sturdy, year round use, slate stone finish provides a classic look that can add to your garden or put a nice touch to your living room. Injection moulding construction.Lightweight easy mobility and strong for your preferred flowers or decorations.Classic finish to fit all colours and styles of home living.Weather resistant to suit with durable and decorative finish to compliment any decor. Are you looking for a planter set that's contemporary yet feels homey and nostalgic? Well, stop looking, Keter is introducing a new generation of stunning stylish and functional planters with the Keter Knit Collection, You'll love the eye-catching Cozie planter which integrates beautiful texture together with a unique feel and stylish design that complement your home. The detail on this resin planter is remarkable, as it has been designed to give you the intricate, interlocking woven knitted look of a braided knit-style design. 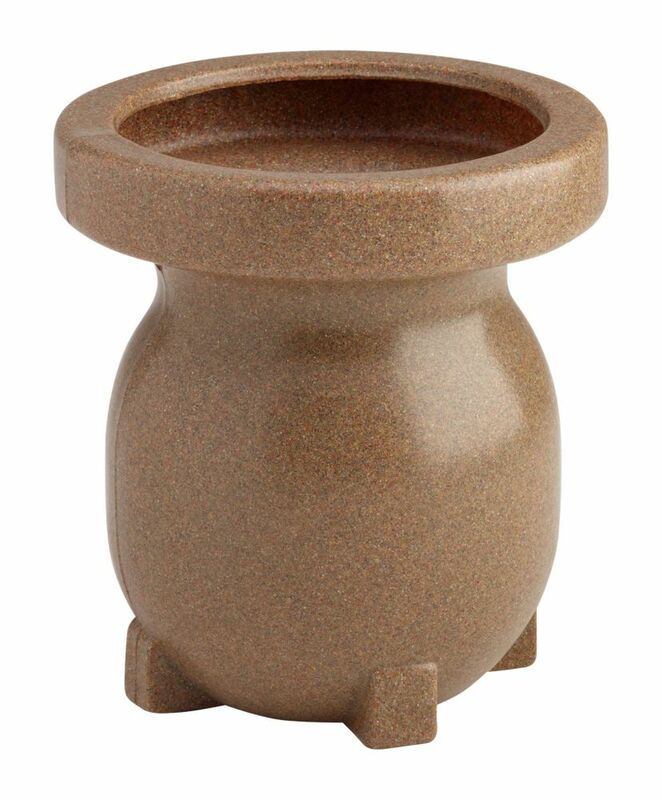 Because they are made of durable polypropylene resin, the Keter Cozie Knit planter is able to withstand incredible amounts of wear and tear. In fact, this decorative planter set continues looking like new from one season to the next even if they're kept outdoors. With durable resin construction, you can rest assured they will never rust, peel, dent, fade, stain or unravel. Make a statement of your indoor/outdoor decor with this beautiful, Morris Planter in Creamy Stone finish. The attractive silhouette and timeless pattern allow this piece to coordinate perfectly with existing settings, whether traditional or modern. Looks stunning when set against a garden backdrop.